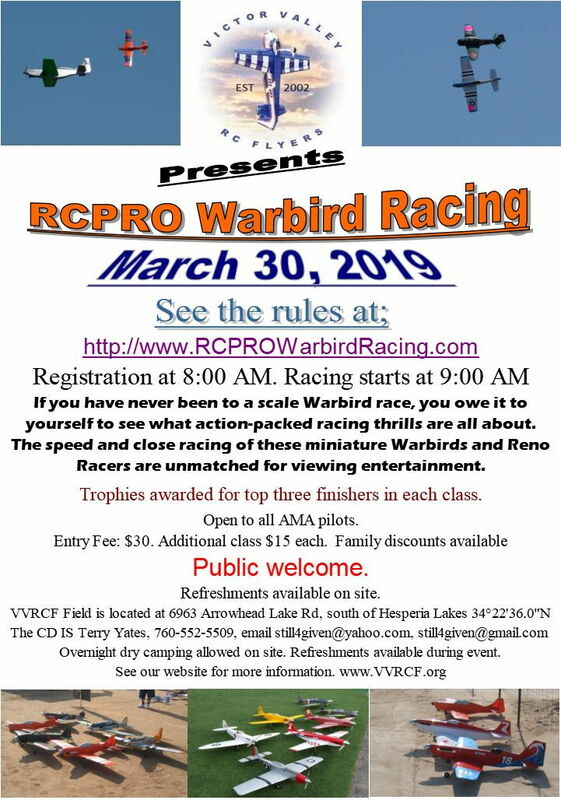 This is to let you know that the next RCPRO warbird race with be on March 30, 2019 at the Victor Valley RC park in Hesperia, CA. Pre registration in not required but preferred so we can save time on race day morning. If you have a caller that is racing in the same class please include his info as well. Send registration info to still4given@yahoo.com. Last edited by still4given; 02-25-2019 at 12:57 PM. Just a week away until the race. If any of you are planning to dry camp at the field please let me know so I can be sure the field is open for you on Friday. Also, the pylons are up and the field is available all week for practice. Hope to see you there. See you Saturday. Gold class I assume. Here we are driving home to Tucson Arizona at 11:00 at night trying to stay awake. 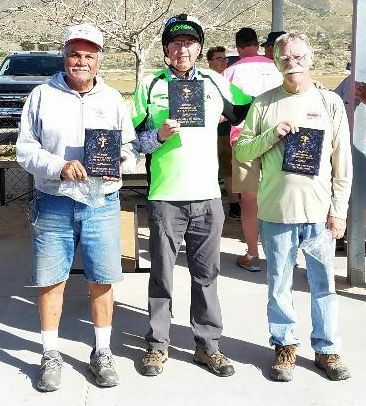 Just got back from the Victorville RC Pro Earbird race. 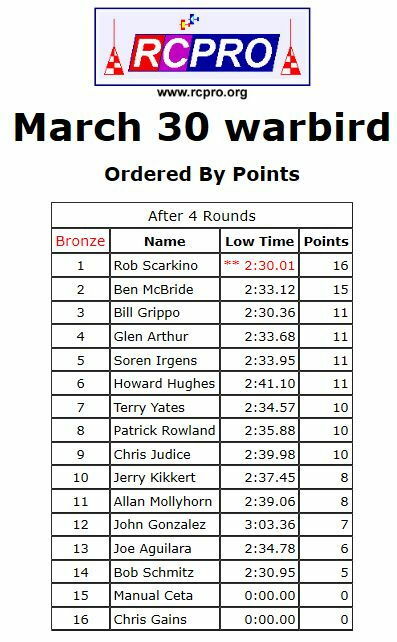 It's A little easier to do when you do good at the races. 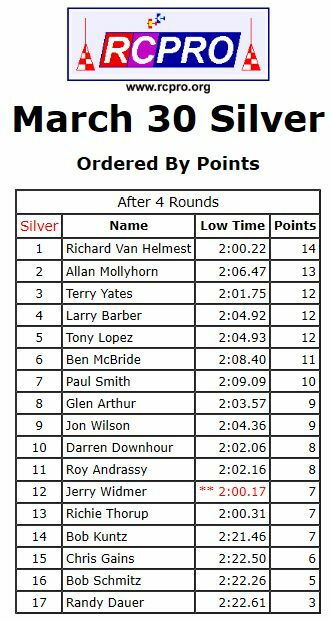 My partner Richard VanHeemst and I teamed up to win the Silver Class event. I must say that this was one of the best, if not the best run events I've been to in the last 2 years. 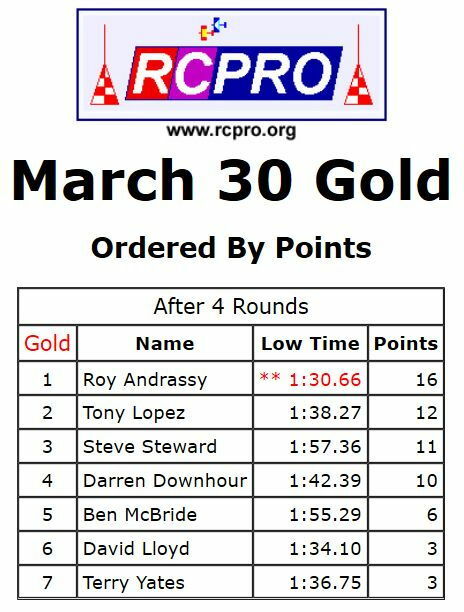 Race positions and times were immediately shown on a large scoring monitor, with current points posted immediately after the conclusion of each round. A lot of credit to Terry Yates and his efficient crew. The flag man (can't remember names very well) was very proficient on flight line and very wise at letting electric models launch last and land first to make sure they had enough power to last the full race without running short of electrons on landings and causing hazardous situations. 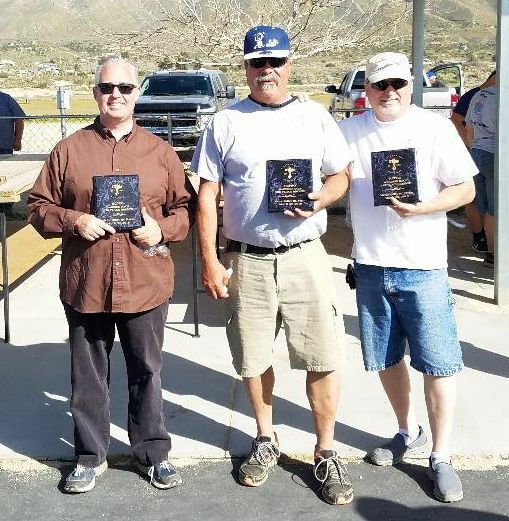 Just thought I'd give a kudo to the whole Victorville crew for putting on an excellent event for all us flyers. Thanks Jerry! It was a real pleasure having all of you guys at our field. 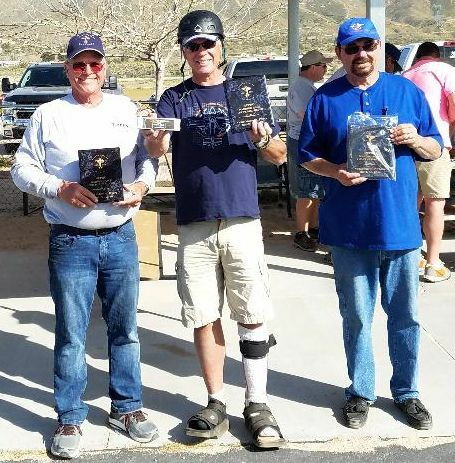 The warbird racing community is some the best folks you will find anywhere. The racing was stellar with no mid-air collisions and very little carnage at all. A testament to the quality of pilots we have in our ranks. Congratulations for the win in Silver. Here are the winners in each class and the final standings.